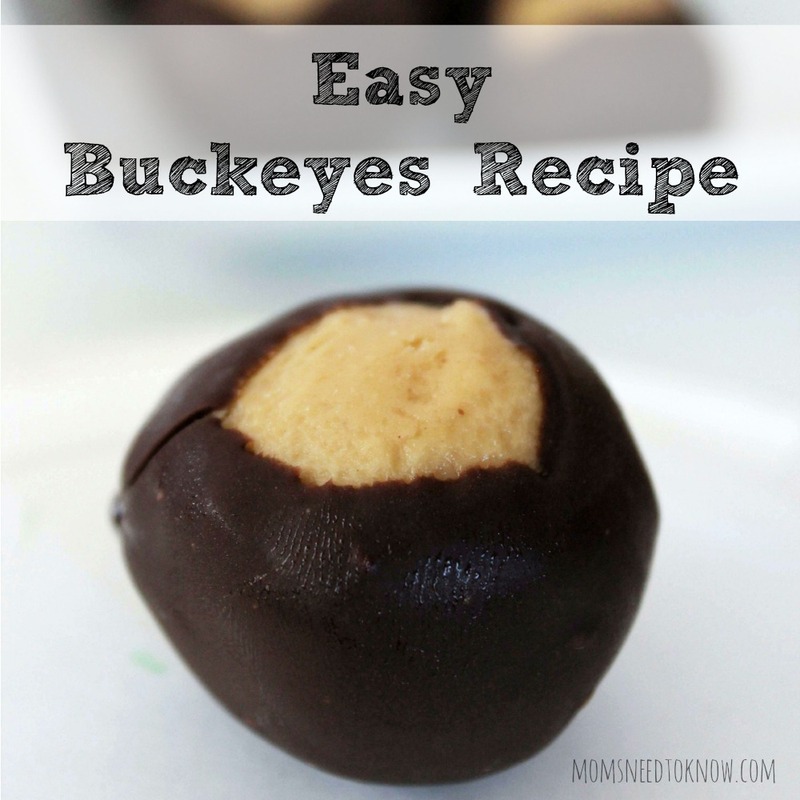 While we are pretty “big” on Oreo Truffles in this house, one thing that my 11-year old likes better is Buckeyes. He absolutely adores the combination of peanut butter and chocolate and every time I start to make my Oreo Truffles to take somewhere, he is asking me when I am going to make my Buckeyes recipe again. Well – it had been a few months since I made them, so I guess I was overdue! I usually make a double or triple batch of the peanut butter balls and freeze them and then pull them out and coat them in smaller batches. The reason? because if I make them all at once, we WILL continue to eat them all until they are gone and my thighs don't need that. The only problem? My son found the bag of frozen peanut butter balls and has just been popping them in his mouth like candy. Oh well – at least he doesn't have an ounce of fat on him and he more he eats, the less there are to tempt me! I have made these with my own homemade peanut butter recipe and, while I like them just fine using that, my son prefers the commercially-made peanut butter….but you might want to try it both ways! Simply combine the butter, peanut butter and vanilla (I like to use my Kitchen Aid with the paddle attachment) Gradually add the powdered sugar and stir until completely blended. 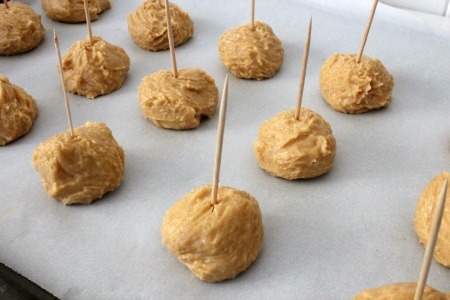 Form the peanut butter mixture in to balls and place on a parchment paper-lined cookie sheet. Freeze the balls until firm. Melt the chocolate and shortening together. Stick a toothpick in to a frozen peanut butter ball and dip in the chocolate. 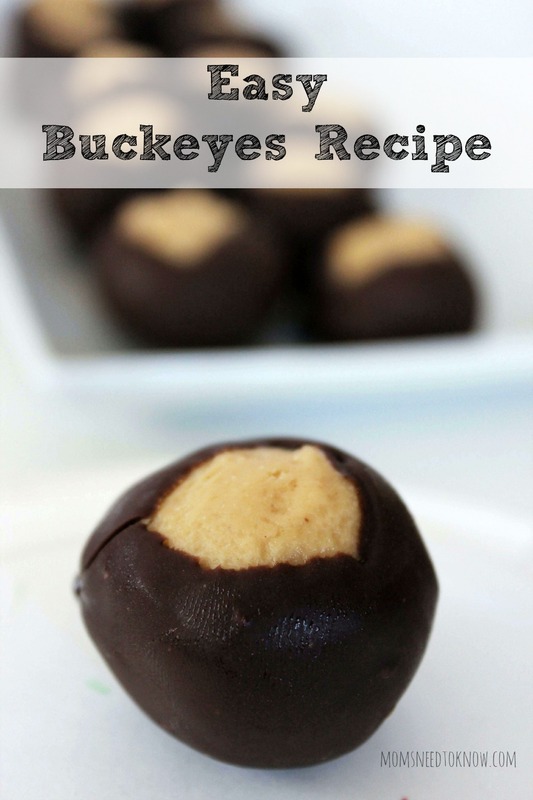 Peanut butter and chocolate come together in a delicious way in the easy Buckeyes recipe! 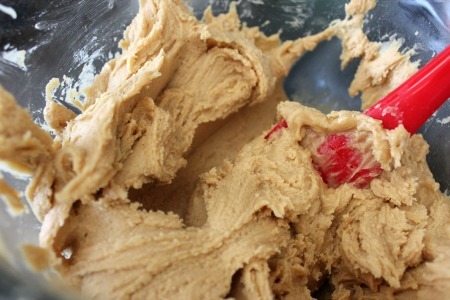 Mix together peanut butter, butter, and vanilla. Gradually add the powdered sugar, stirring it into the mixture until it is incorporated. Roll into 1-inch balls and place on the prepared sheet. Place cookie sheet in freezer until hard (about 30 minutes). 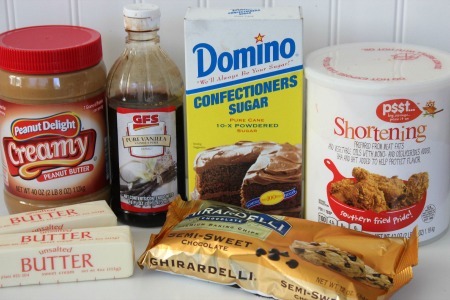 Combine the chocolate chips and shortening. Melt by microwaving for 1 minute, then stirring and repeating until smooth and melted. 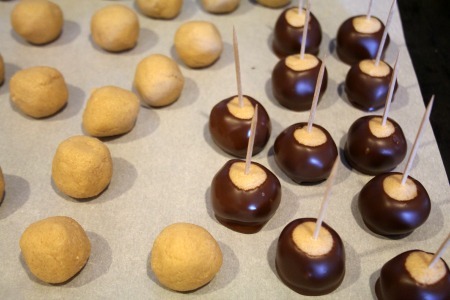 Stick a toothpick in to each ball and use it to dip the peanut butter ball in to the chocolate (leave a small circle uncoated on top of each). Gently shake off excess chocolate and place back on cookie sheet. Refrigerate several hours or until chocolate is set. Remove toothpicks and smooth over the hole.